The paper concerns experimental investigation of a turbulent boundary layer (TBL) developing on a flat plate under an adverse pressure gradient (APG) for a Re θ ≈ 3000. 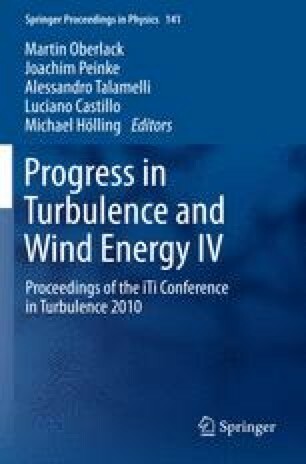 In particular, the paper deals with the analysis of bursting phenomena in TBL with the use of VITA technique. For interpretation of structure behaviour the shape of conditionally averaged velocity traces recorded by X-wire probe were analysed. It was found that bursting process under the influence of APG is damped near the wall and this phenomenon is emphasized in the outer region of TBL.